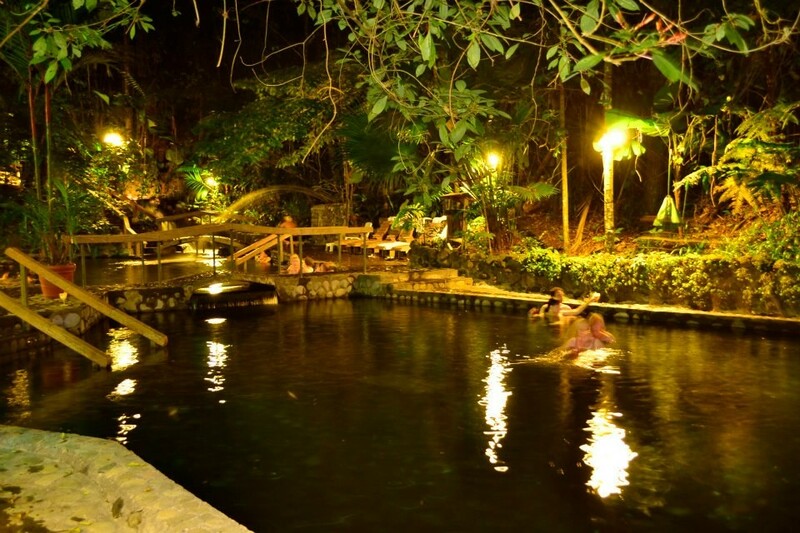 Ecotermales Fortuna Hot Springs: Great option for those looking for less crowded experience. 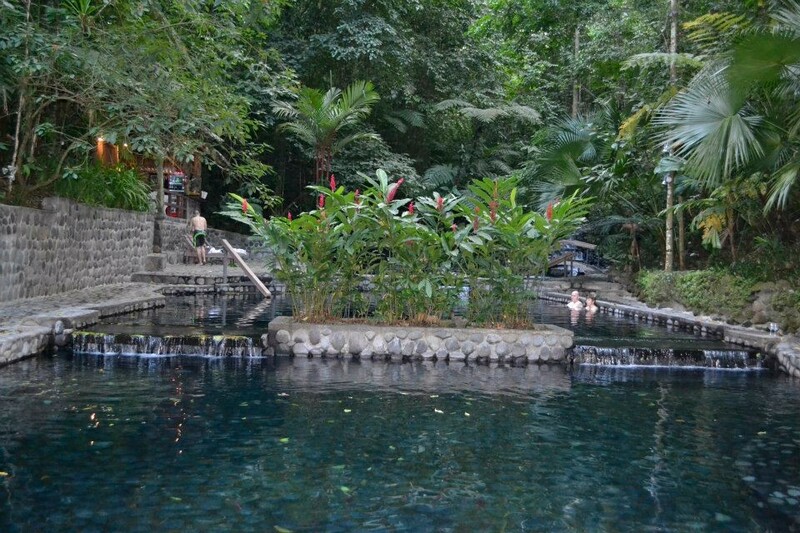 Ecotermales La Fortuna is located only 4.5 km (2.5 miles) from the center of La Fortuna and a short distance from the principal hotels in the Arenal Volcano area. 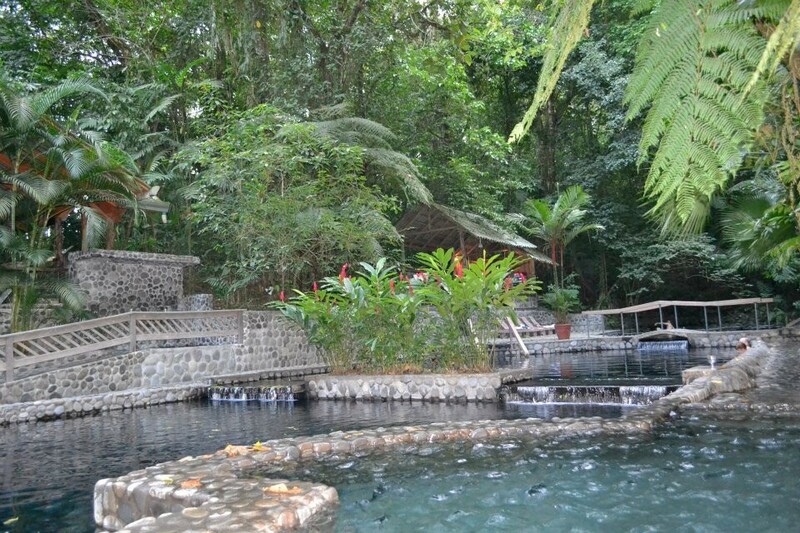 The Hot Springs are an ideal location for those looking for privacy and a relaxing ambiance surrounded by nature. 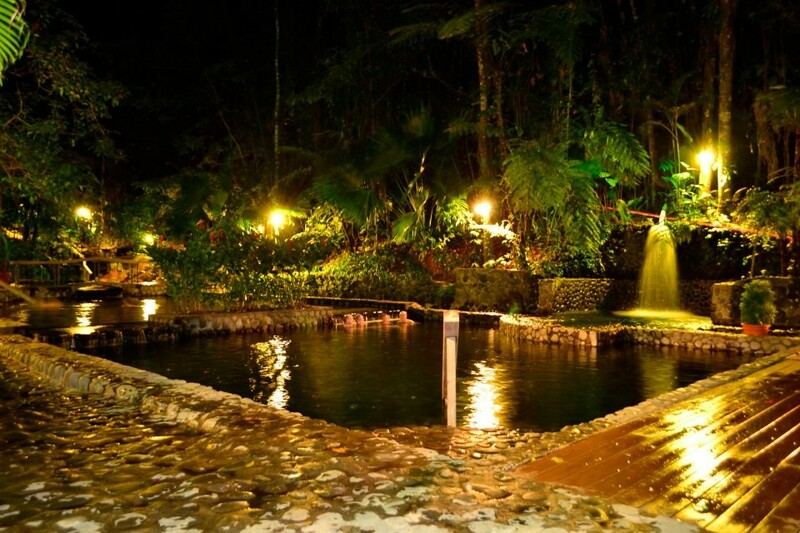 Natural hot springs emanate directly from a spring inside the property that makes it a true oasis of relaxation and tranquility to enjoy during your stay in the Arenal area. We recommend reserving ahead of time due to a daily limit on the number of people allowed to enter. 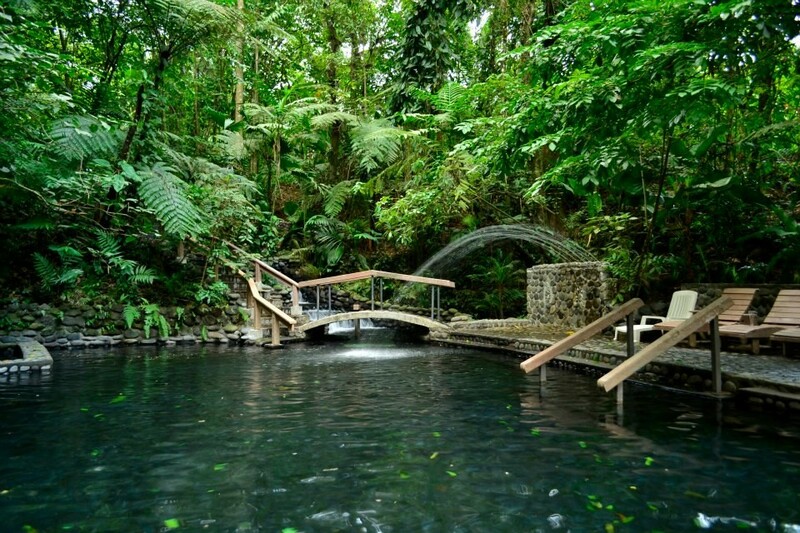 Ecotermales Fortuna admits 100 people at a time during three daily time-blocks to ensure that everyone has the opportunity to find complete relaxation and internal peace in order to renew your body and soul. 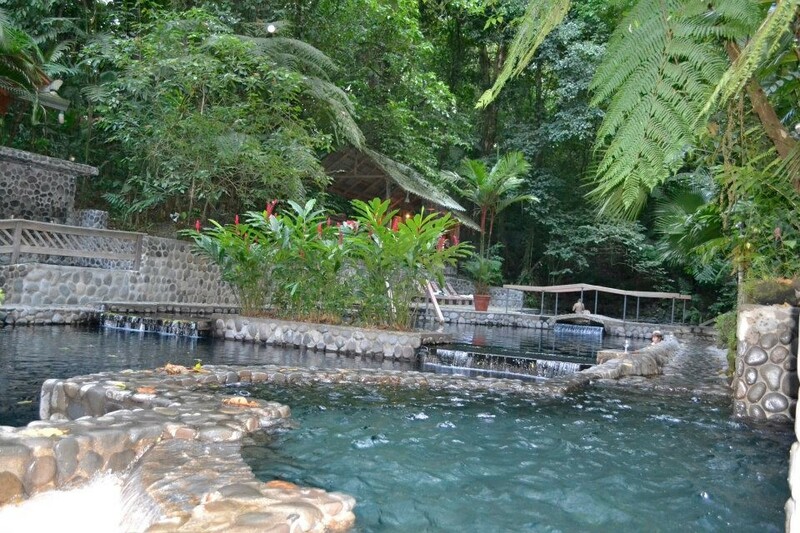 Enjoy all of the waterfalls and pools of varying temperatures. 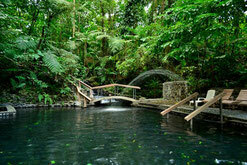 This romantic location surrounded by luscious vegetation awaits for your vacation to the Arenal Volcano area. 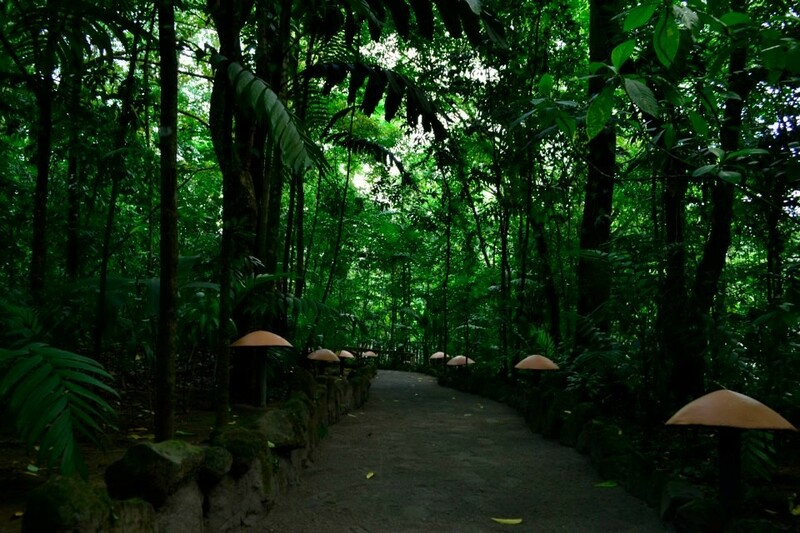 Additionally Ecotermales Fortuna offers plenty of lighted brick trails that allow you to wander through the forest and observe nature and take pictures of memorable moments. 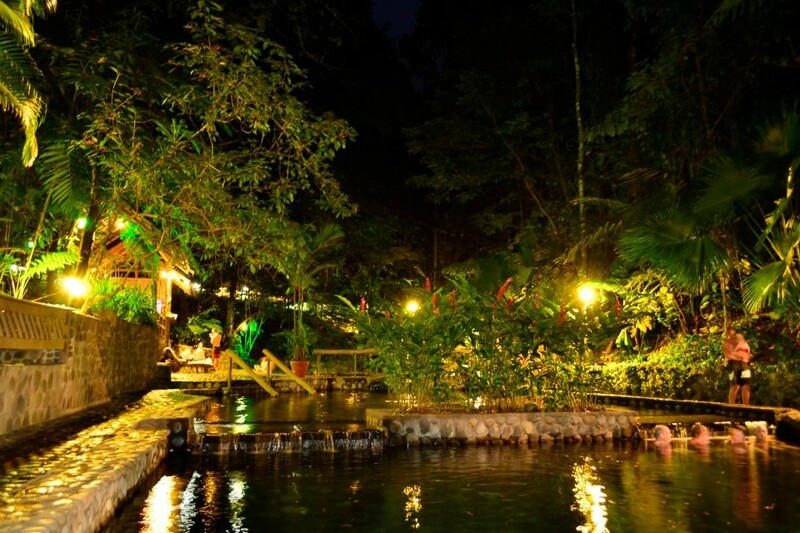 Restaurant with 100% Costa Rican food. You can choose to just make use of the installations or if you would also like a delicious lunch or dinner according to the schedule you select. 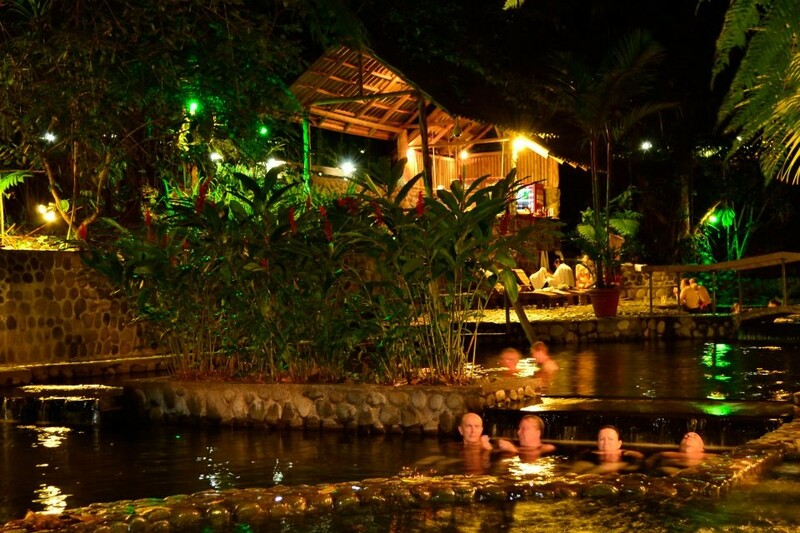 Ecotermales Fortuna offer you a natural hot springs, which allow only a limited number of guests each day, provide a private, relaxing oasis during your vacation at Arenal Volcano area. Option No. 1: From 10:00 a.m. to 1:00 p.m.
Option No. 2: From 1:00 p.m. to 5:00 p.m.
Option No. 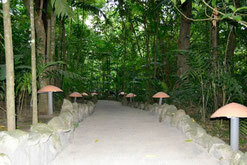 3: From 5:00 p.m. to 9:00 p.m.
Privacy and tranquility environment is waiting for you. 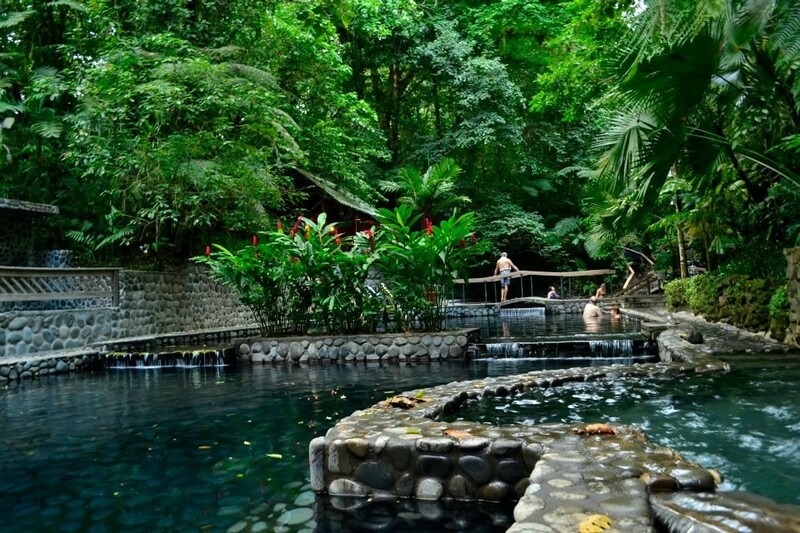 When you visit Ecotermales La Fortuna at the large pool you can enjoy the varying temperatures of natural hot springs. 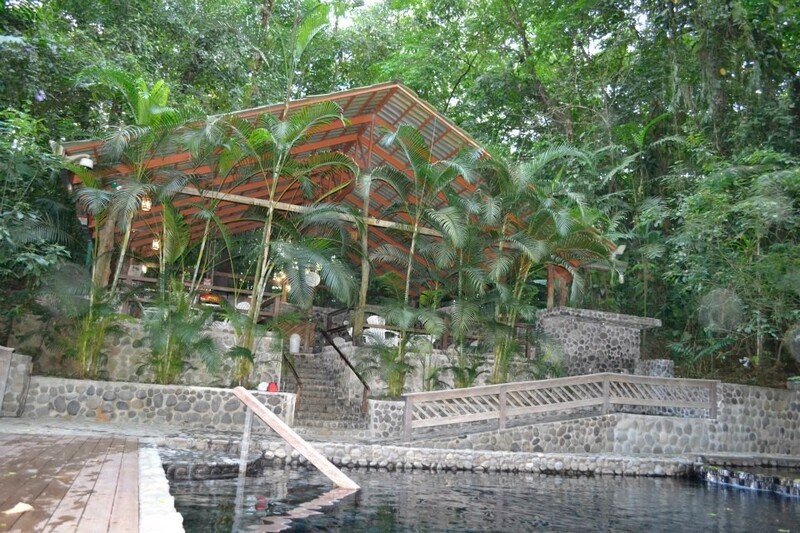 Between each pool are small waterfalls that you can sit at and let the water fall over your back and shoulders. There grounds are lush. 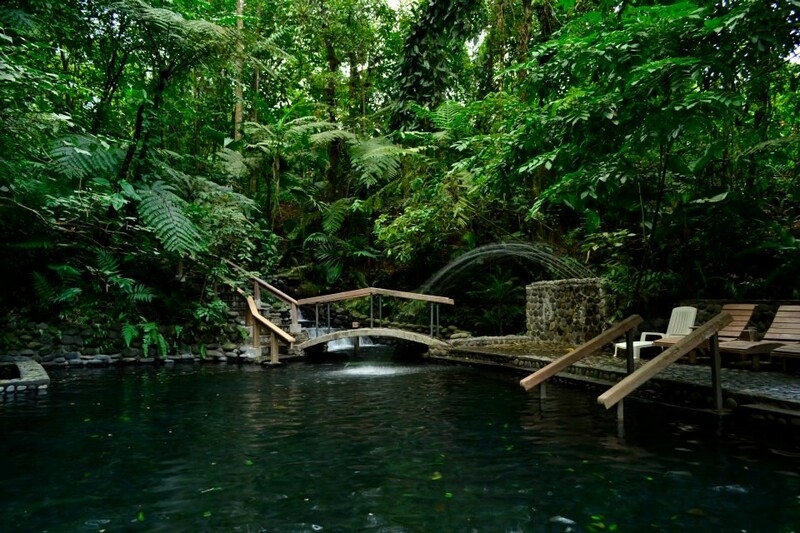 You walk down paths to one of 5 hot pools separated by waterfalls. There are different temperatures from about 106 - 108 on down. 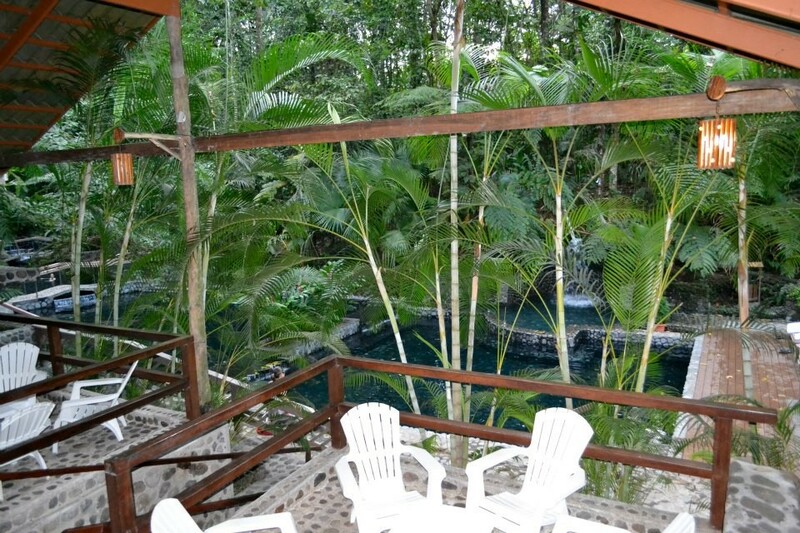 Because they limit the number of guests there is plenty of room and time to find different little places in the pools and waterfalls to relax. 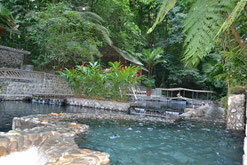 It is a great romantic nature place waiting for you when you are on vacation at Arenal Volcano area. Please send a message if you want to make reservation or if you need any extra information about Ecotermales Fortuna. Option 1. - 10:00 a.m. to 1:00 p.m.
Option 2. - 1:00 p.m. to 5:00 p.m.
Option 3.- 5:00 p.m. to 9:00 p.m. Reservation Center & Info: Tours, Hotels, Transportation service. Volcan Arenal - La Fortuna - Costa Rica. All our vans are brand new and equipped with FREE Wi-Fi. 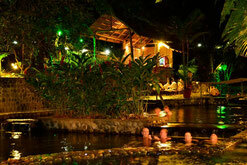 All the info that you need to know about Hotels, Tours and Transportation at Arenal Volcano area and Costa Rica Vacation Packages. 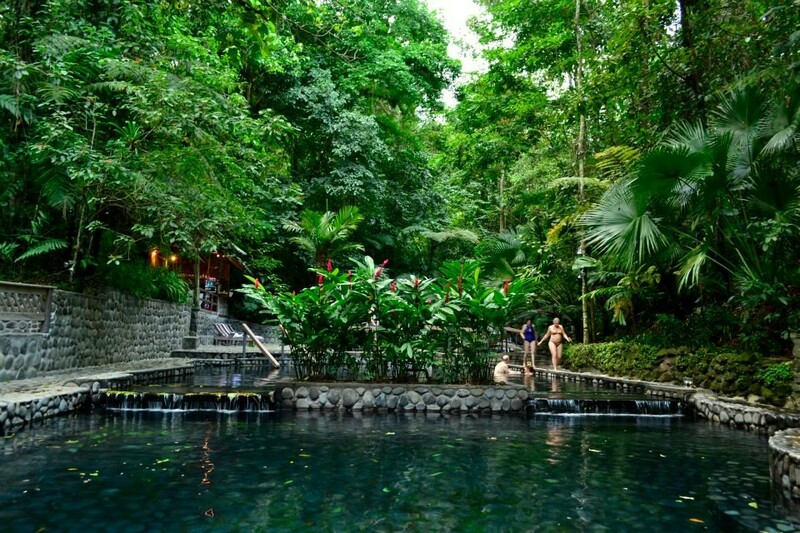 Enjoy your vacations in Costa Rica. Toda la informacion que necesita para disfrutar de sus vacaciones en Costa Rica. Hoteles, Tours, Transporte, Paquetes Vacacionales. Contactenos!